Among the great patriots who worked tirelessly to uplift the dormant people when this country was under colonial rule was Piyadasa Sirisena whose 65th death anniversary was on May 22. Born on May 31, 1875, Piyadasa Sirisena was from the outset of his illustrious career in the service of the country. He engaged himself in a variety of activities many of which were reflective of his talent and ability. He was a journalist, a pioneer novelist social reformer, temperance worker and above all a true lover of this land. Piyadasa Sirisena first began his career way back in 1903. His was a willing and inspired entry into the maelstrom of the national revival begun during this time by his mentor and hero Anagarika Dharmapala, the towering Buddhist revivalist of that era. In that year Piyadasa Sirisena after a brief apprenticeship of his own creation was bold and enterprising enough to begin publication of Sinhala Jathiya a monthly Newspaper. Besides this he was also entrusted with the task of publishing the Bauddhaya (later called Sinhala Bauddhaya) by the Mahabodhi Society, headed by Dharmapala. Piyadasa Sirisena happened to be a member of the second generation of revivalists which this island was blessed with in the pursuit of national rejuvenation. The first generation was pioneered by Ven Migettuwatte Gunananda Thera the fearless and brilliant Panadura Buddhist Priest. His debate with Christian missionaries way back 1875 paved the way for the rise or Buddhist sentiment. Following that landmark development Colonel Henry Steel Olcott the American theosophist laid the foundations for Buddhist education first in Galle then in Kandy and in Colombo. By the turn of the 19th century the work of these frontiersmen had proved to be an inspiration for Anagarika Dharmapala. Born to wealth and privilege, he was to sacrifice all of it and devote himself to revive the people from being totally submerged by an alien culture and religion. He was soon followed by Piyadasa Sirisena, John de Silva, Walisinha Harischandra and others. 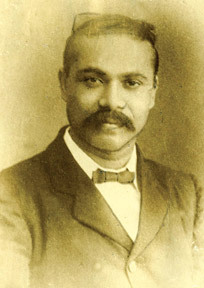 Though Simon Silva’s (Meena - 1903) was considered the first Sinhala novel, Piyadasa Sirisena is widely acknowledged as the father of the Sinhala novel. Sirisena’s first novel Jayatissa saha Rosalyn published in 1904 remains a landmark in the history of Sinhala fiction. Within two years and in two editions it sold over 25,000 copies which is yet an unbroken record in the sale of a novel either Sinhala or English in this country. Piyadasa Sirisena published 19 novels and edited several other books all of which were designed to create a moral reawakening and guide the people along what he thought was a righteous path. More than 100,000 copies of book that he authored have been sold which too is a record unmatched in the history of Sinhala novels published in Sri Lanka. The impact of his work was far reaching and made him the most popular writer of his time and a formidable influence in the mindset of Sinhala masses. He was undoubtedly an outstanding social reformer and national worker. The apt comment made by the eminent lawyer and historian N E Weerasooria QC in his monumental History of Ceylon is a clear testimony of the above contention. Weerasooria has stated Piyadasa Sirisena prepared the soil of this land for political emancipation. In the early years of the 20th Century the British policy in respect of liquor and its increasing ill effects led the way for the Temperance Movement. According to historian Prof Kingsley de Silva the temperance movement began to gather momentum during this time and proved to be powerful force that combined with other strains of resistance finally led to independence. Sirisena was a flag bearer of the Temperance Movement. Piyadasa Sirisena suffered two jail terms during his struggle against British rule. One such lasting 60 days was in 1916 when then government imposed Marshal law during the infamous Sinhala-Muslim riots of that year which led to the imprisonment of most leading National and Buddhist patriots like D S and F R Senanayake, the Hewavitharana brothers, Sir D B Jayatilleke and others. In an unprecedented crackdown on liberty and fundamental rights of the people the government brought about an official reign of terror. Several hundreds were injured in the process of the riots which were repelled by the use of brute force. Piyadasa Sirisena suffered his second jail term also following the Muslim Sinhala riots. The trial- at- bar which he faced was for sedition. He had written an editorial in his newspaper in which it was alleged that Sirisena had incited the people to rise against the government. But the British prosecutors failed to prove the charges and Sirisena escaped with a fine. After a lifetime of truly patriotic service which had no rewards Piyadasa Sirisena died on May 22, 1946 at 71 years. But he left for posterity an unrivalled record of national service.